With only three hours to complete six essays on the Multistate Essay Exam (MEE), your time is so limited you won't be able to create a comprehensive outline for each essay. You'll need a different approach. Time limits make the MEE the most intimidating part of the Uniform Bar Exam for many examinees. Sure, if you had a few hours to write an essay, you know you’d be able to adequately explain and apply the law and you wouldn’t be stressed out. But without the luxury of being able to consult your outlines or take time to reconstruct the principles that you’ve learned, you’ll see that you’ll have to learn to organize your thoughts and express them quickly and coherently. 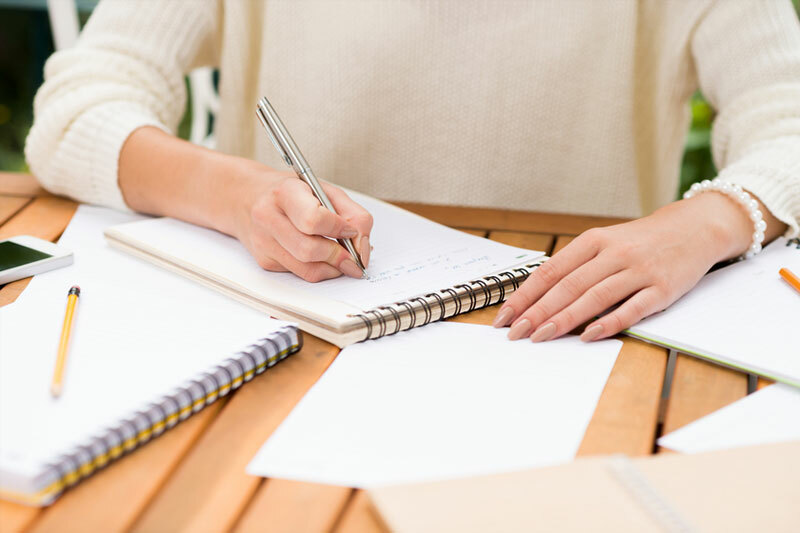 You simply won’t have time to compile detailed essay outlines, but it is still essential to identify the key legal issues you plan to address before you begin to write. In fact, we encourage our students to do this so that they won’t feel overwhelmed on essays with multiple issues and that they leave themselves enough time to address all of the relevant issues they’ve spotted. Read the questions that follow the fact pattern prior to tackling the fact pattern itself. Carefully and aggressively read the fact pattern identifying any details that may impact the legal issues presented in the questions, paying special attention to any adjectives and adverbs describing the parties and their actions. Underline or circle everything that you think might be significant so that no details slip past you. Revisit the questions and determine what arguments you plan to raise to answer each question. Consider each question from the vantage point of each party involved to help you identify potential issues that the bar examiners may be expecting you to address (particularly if the question is broadly asking something like “what types of relief” could a party seek or “what theories” could a party assert. Even if you know the outcome in the majority of states, consider whether there might be alternative legal arguments that a party might raise). In the essay booklet, briefly list the issues you plan to discuss next to each question. Quickly review the key details that you underlined or circled to ensure you aren’t forgetting to address anything essential. If you spotted a legal issue that is unrelated to the questions asked, ignore it. Recognize that the bar examiners are not simply looking for a correct conclusion and instead will ask to you “Explain” your answer by identifying the key details, delivering the relevant law, and applying the facts to the law. Sound like a lawyer by using legal terminology correctly. Avoid discussions of policy or your own personal opinions. Write efficiently. If you are short on time, understand that you may not be able to deliver all of the law you know. Instead, write the best answer you can within the time limits by delivering succinct statements of the law and how it would be applied. Your job is not to write the best answer the bar examiners have ever read. It is simply to write the answer that will give you the most points within the time allotted and move on to the remaining questions. Bar exam graders will review your answers thoroughly but quickly, so be sure to organize your answers logically, delivering a clear statement of the law for each legal issue you’ve identified, and then applying specific facts from the fact pattern explaining how a court might resolve that issue. It also makes sense to answer each of the numbered questions at the end of an essay in order, so that you don’t surprise the grader by addressing the third issue before the second and then the first. While the bar examiners won’t penalize you for addressing the questions out of order, essay grading is tedious. The fewer surprises you present, the better your chances of getting all the points you deserve. Also remember that you don’t need to include a formal issue statement like “The first issue is whether there was complete diversity between the parties” unless you are struggling to start writing an answer and doing so will get you going. Instead, you can simply start such an answer by explaining the law regarding federal jurisdiction based on diversity of citizenship, and then explain how the key details may or may not resolve the question. It is less important that you reach a single correct conclusion than that you convey to the bar examiners that you have a command of the law and how the facts presented create legal issues for the court. Don’t stress if after the exam one of your classmates concluded a party had established citizenship in a neighboring state therefore permitting federal jurisdiction based on diversity if your conclusion was more open ended but you properly identified the law and the key facts that the court would consider. Looking for more advice regarding the MEE? Read some of our other bar exam essay tips.